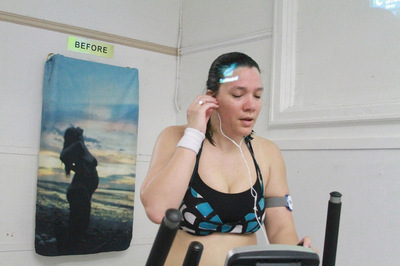 Held at Cutlog Art Fair in May of 2013, Calorie Countdown was a durational performance dealing with the pressures of weight loss and fitness in current culture, with an emphasis on those placed on women following childbirth. 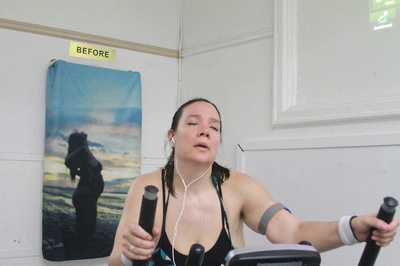 The performance drew directly from the artist’s real life experience as a new mother. 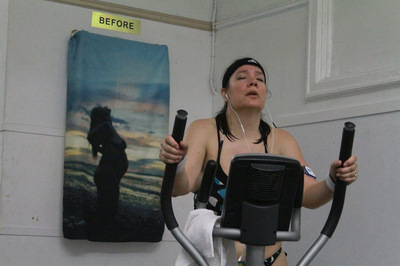 Since giving birth to her son Ajax 18 months prior as a live performance at Microscope, Kotak saw her weight loss progress hindered first by a bout with postpartum depression and then by a broken foot which occurred on Thanksgiving Day. 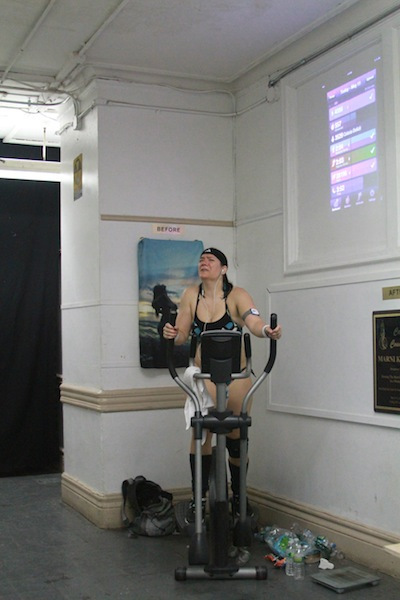 At Cutlog Art Fair, Kotak, dressed in her summer bikini, worked out continuously on an elliptical machine while wearing a BodyMedia FIT armband that tracked her real-time fitness information including calories burned against calories consumed, proper intake of vitamins and minerals, and the artist’s progress towards achieving her weight loss goals. 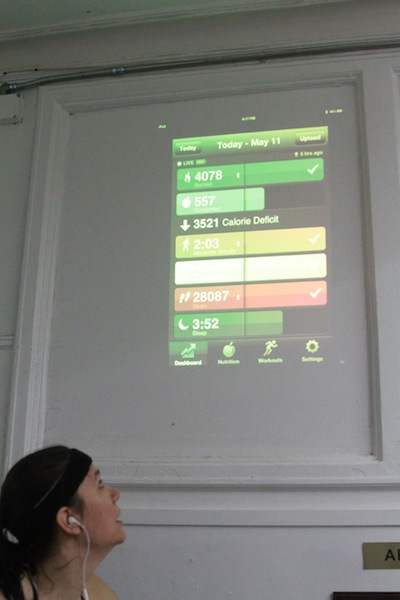 The ongoing analyses tracked by the armband was fed wirelessly into a computer and projected onto the wall so that she and the audience could track her progress as it happened. 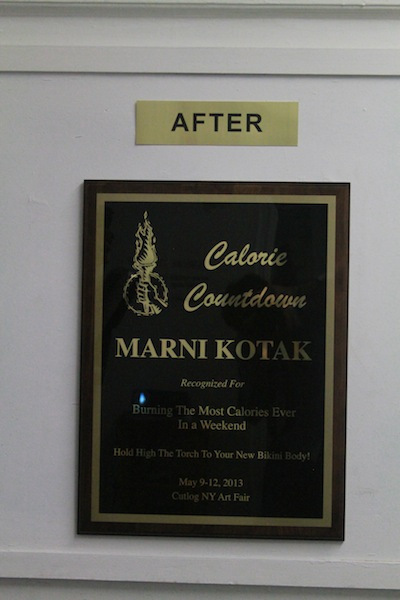 Hanging on the wall, beside the projected information was a “Before” photograph of Kotak during her pregnancy and an award plaque such as those given to athletic winners that she received upon finishing her performance in which she ultimately took 176,947 steps on the elliptical machine, burned 23,775 calories and lost 11 lbs over 5 days.